If your appliances and electronics are just sitting there, unplug them. Any time an outlet has a cord plugged in, it's sucking energy even if the device is off. Only plug in when the device is in use (or recharging) and you'll save energy. Using rechargeable devices is a great way to keep batteries out of landfills but being smart about recharging ups your green game one more notch. Instead of spreading the chargers (and energy use) throughout your home, choose a USB tower in a central location. You can plug in all your devices in one place, save time by knowing where your devices are and only have one cord to unplug when you're done. But it doesn't stop there. Any digital media, including your own personal movie collection, can be stored in the cloud. Think bigger than replacing a bookshelf. Use the cloud to rethink photo albums, cookbooks, entertainment centers, and work documents to save space and reduce clutter. Food rots; it's just a fact. But you can turn that rot into healthy food by using a compost bin. If you live in a house, all you need is a 3 x 3 x 3 foot space in your backyard. Apartment-dweller? No worries! With just a few stacked plastic bins, you can compost, too. Add the compost to your garden and you've reduced your carbon footprint while providing yourself and your family with healthy eats! Learn more about how to compost here. 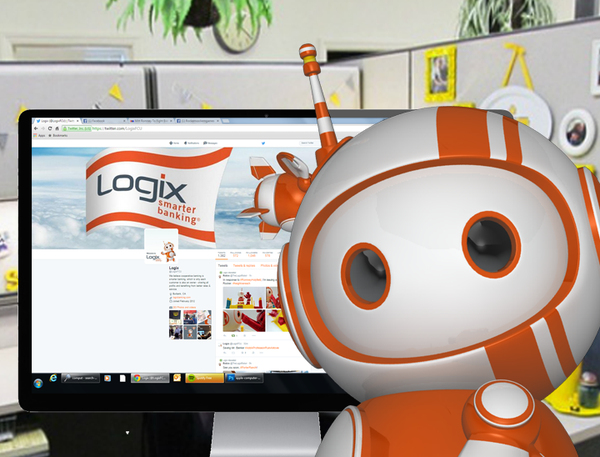 Occasionally, Logix will invite guest bloggers to post on assorted financial topics. These posts may or may not represent our views.